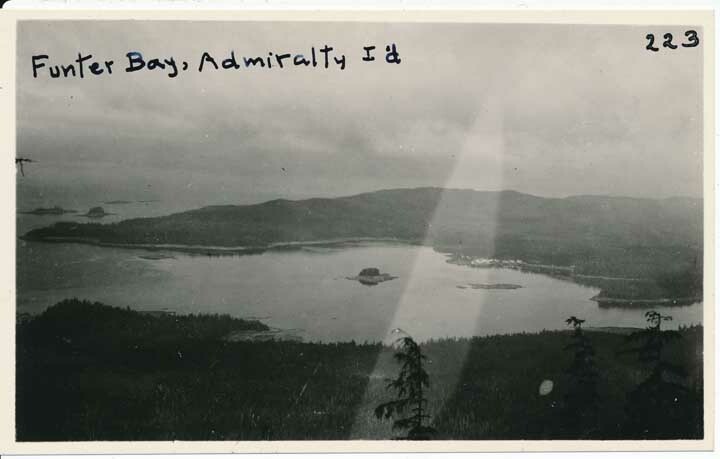 I recently came across a photo of Funter Bay from 1924 taken from Mt. Robert Barron. It fits nicely with the photos taken by my Dad in the 1970s, and the ones I took in the mid 2000s (I have a large panorama of the bay at the bottom of a previous post). 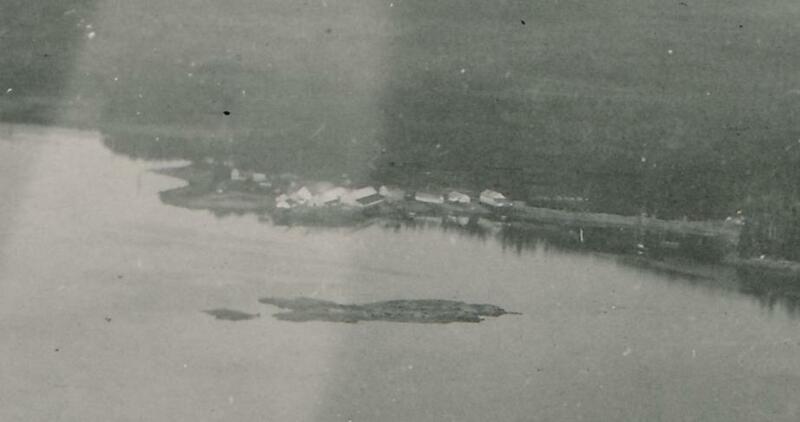 Funter Bay in 1924. Arthur F. Buddington photographs, Archives and Special Collections, Consortium Library, University of Alaska Anchorage. I’ve zoomed in a bit towards the cannery in all three photos. In all three, that area stands out as the major element of cultural geography. Unfortunately the 1924 photo is not so clear (this post has a nice 1929 aerial). Notable in 1924 is the complete lack of trees on Ledge Island (the small island in front of the cannery). 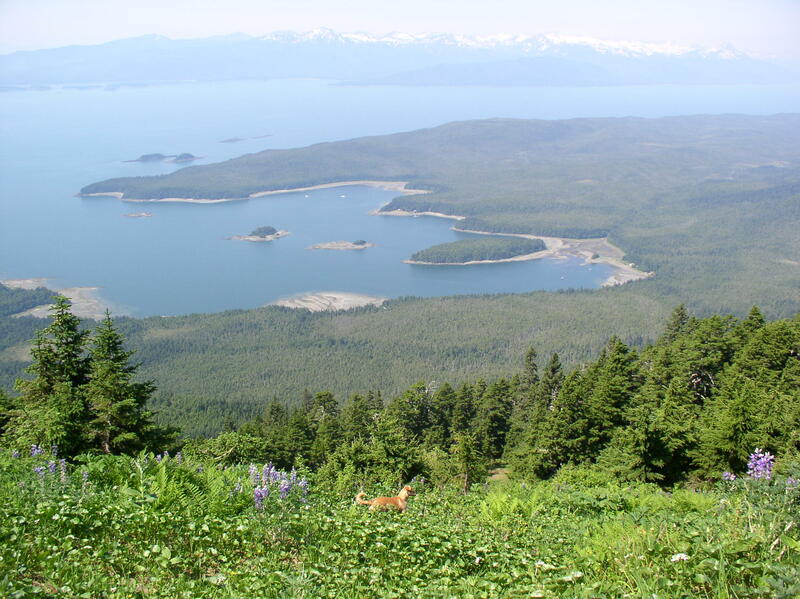 As noted in another post, islands around the bay were a quick and easy place to cut trees and float the logs to where they were wanted. 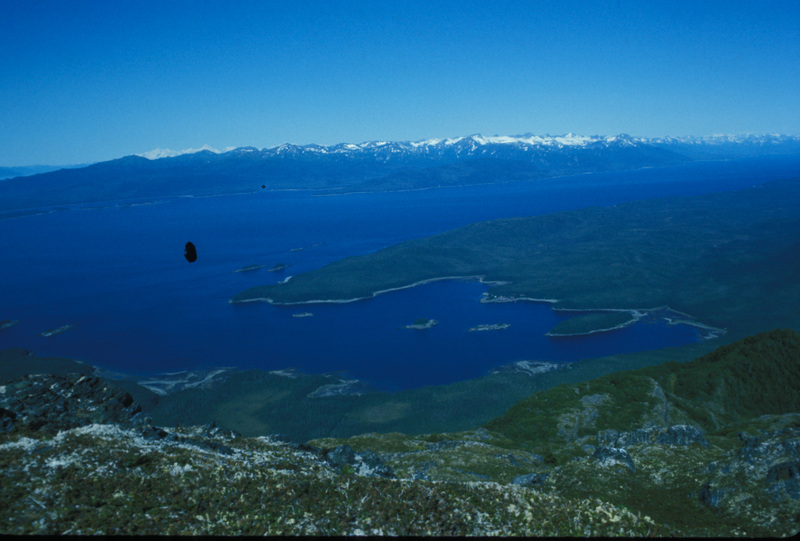 Arthur F. Buddington photographs, Archives and Special Collections, Consortium Library, University of Alaska Anchorage. I’ve shown the 1970s close-up before, alongside more of Dad’s photos, in this post. 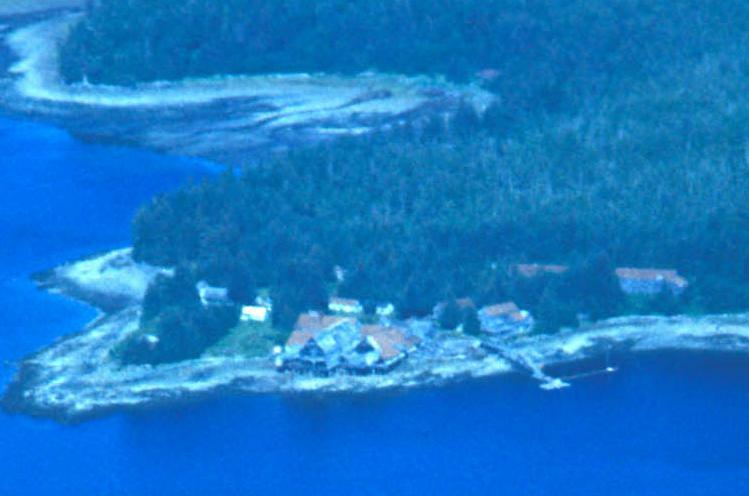 The missing sections of cannery buildings which overhung the water are fairly evident here. By the 2000s, the only evidence of the cannery is the State-maintained public dock and ramp. The buildings seen below are all modern private structures. 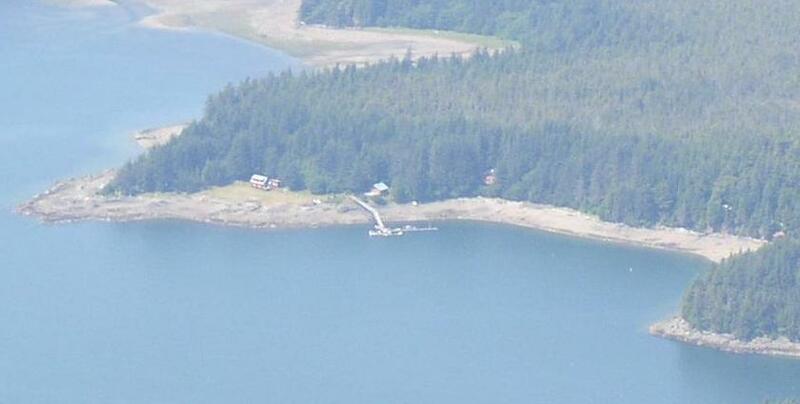 This entry was posted on Sunday, March 9th, 2014 at 9:31 am and is filed under Alaska History, Funter Bay History. You can follow any responses to this entry through the RSS 2.0 feed. You can leave a response, or trackback from your own site. Great pictures, Gabe. I never made it to the top of the mountain, but those are some familiar sights.